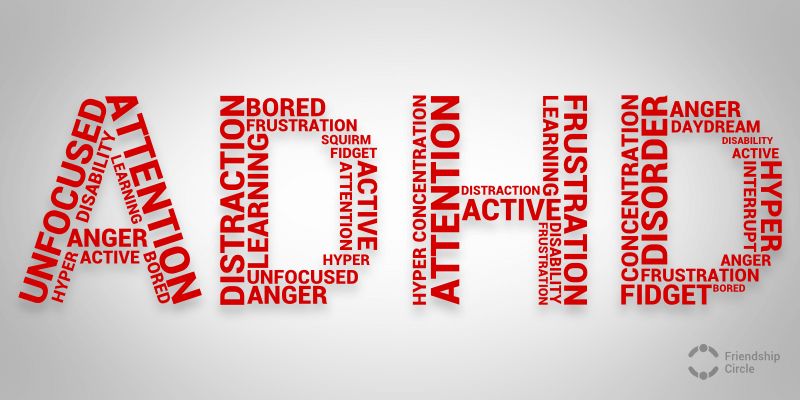 ADHD is a common disorder characterized by a pattern of inattention and hyperactivity. Symptoms of ADHD can appear as early as 3 to 6 years old and can continue into adolescence and adulthood. In order for an adult to be diagnosed with ADHD, symptoms must have been present prior to 12 years old. Although everyone may experience feelings of impulsivity and inattention, people with ADHD experience these symptoms more severely, more often, and they often interfere with how the individual functions in social settings. According to the DSM-V, a diagnosis of ADHD is given when 6 or more symptoms of inattention are present for children up to age 16. Only 5 symptoms of inattention are needed for adults and regardless of age, symptoms must be present for at least 6 months. Inattention can be characterized as having trouble paying attention, overlooking details, making careless mistakes, being easily distracted by unrelated stimuli, being forgetful, and having trouble organizing tasks and following instructions. A diagnosis of ADHD can also be given when 6 or more symptoms of hyperactivity are present for children up to age 16. Only 5 symptoms are required for a diagnosis of ADHD for adults. These symptoms must be present for at least 6 months as well. Hyperactivity can be described as constantly being in motion, interrupting others during conversation or activities, constantly talking, unable to wait patiently for one’s turn, squirming in one’s seat, and fidgeting with one’s hands or feet often. Have you ever “zoned out” while driving and found yourself driving from one location to another without realizing how you got there? This is like how hypnosis feels, and is actually something we call “highway hypnosis”, in which you are in a natural hypnotic state. Hypnosis is a technique that is increasingly being sought-after and used in today’s clinical practices, but little do people know that hypnosis is a technique that has been used for centuries, dating to as far back as the 4th and 5th centuries B.C. in Ancient Egypt! However, much credit is given to 18th century German physician, Frank Mesmer, who coined the term, “mesmerism” in reference to what we now call “hypnosis” and is the first dated medical practitioner to practice hypnosis for therapy. Mesmer utilized suggestion for his patients in order to cure their illness. One of the first patients with whom Mesmer used hypnosis had consisted of placing a magnet on her head in order to revitalize blood flow in her brain, which was believed to be the cause of her tooth and headaches. The magnet, coupled with Mesmer’s theatrical hand gestures had allowed the patient to believe that the fluids in her brain were stabilizing, when truly, the magnet and hand gestures had done nothing. In reality, the suggestions he was giving her were easing her aches. This discovery opened up a wide array of questions about hypnosis and brought about a new treatment to the field of psychology. Following Mesmer was James Braid, who is regarded as the “Father of Hypnosis”. Braid delved into why hypnosis was effective during therapy session. He also conducted intensive research to identify key methods that could put someone into a trance state through analysis of the physiological components of hypnosis. Braid was the figure who coined the term, “Hypnosis”. Much credit to modern day hypnotherapy must be attributed to 20th century psychologist, Milton H. Erickson, who created a multitude of hypnotherapy methods that are currently being used in today’s clinical practices. Erickson places great emphasis on language in order to tap into the unconscious mind. He also emphasizes the importance of allowing the patient to feel positive feelings with his aid. The methods help the patient heal through their own willpower. Even Sigmund Freud, founder of psychoanalysis, utilized hypnosis in his therapy, although he did not inherently acknowledge that what he sometimes performed on his patients was hypnotherapy. However, Freud discarded the use of hypnosis in his practice because his techniques did not work on his patients. In order to be properly hypnotized, the hypnotist should be a licensed mental health professional, such as the psychiatrists, psychologists, and social workers at Arista Counseling & Psychotherapy. Contrary to the popular belief that when someone is under hypnosis, they are not in control of their own bodies—this is a myth. When under hypnosis, you are free to intervene and break out of your trance state if you feel uncomfortable or become distracted; however, doing so will decrease the effectiveness of the session. In order to go through successful hypnosis, one must be willing to be hypnotized, open to suggestion, and trust the hypnotherapist. Hypnotherapy is typically used to successfully treat issues such as Depression, Anxiety, Attention Deficit Hyperactivity Disorder (ADHD), Obsessive Compulsive Disorder (OCD), weight gain or weight loss, Insomnia, smoking cessation, and more. If you or someone you know is interested in hypnosis or psychotherapy, please contact our offices in New York or New Jersey to make an appointment with one of the licensed professional psychologists, psychiatrists, psychiatric nurse practitioners, or psychotherapists at Arista Counseling & Psychotherapy. For hypnotherapy, please ask to make an appointment with one of our hypnotherapists at Arista Counseling & Psychotherapy. Contact our Paramus, NJ or Manhattan, NY offices respectively, at (201) 368-3700 or (212) 722-1920 to set up an appointment. For more information on our services, please visit http://www.counselingpsychotherapynjny.com/ If you or someone you know is in a crisis, please call 1-800-273-8255. If any of these are evident, it is important to make an appointment with your child’s school psychologist or the Child Study Team. Testing for dyslexia can be done by those professionals or by an independent child psychologist or learning consultant. After pinpointing the child’s “weak” areas such as cognition, communication, sensory/motor, etc., a plan can be made based on their individual needs. If you suspect that you or your child might have a learning disability (not limited to just dyslexia), the psychiatrists, psychologists, psychiatric nurse practitioners, social workers, or psychotherapists at Arista Counseling can help you. Contact our Paramus, NJ or Manhattan, NY offices respectively at (201) 368-3700 or (212) 722 1920 to set up an appointment. Perlstein, David, and Melissa Conrad Stoppler. “Dyslexia Symptoms, Types, Tests, and Treatment Information.” MedicineNet. MedicineNet, Inc., 10 Dec. 2015. Web. 10 Mar. 2016. Although the visual of a hyperactive kid bouncing around in his seat is the cliché often associated with Attention Deficit Hyperactivity Disorder, the symptoms of ADHD may prevail into adulthood and arise in different fashions. The subtle signs of adult ADHD may be overlooked because many of the symptoms seem like ordinary inconveniences everyone must face, such as boredom and daydreaming. The extent and frequency of symptoms must be considered in order to diagnose individuals and improve the life functioning of afflicted individuals. Five indicators of adult ADHD are discussed below. Many adults with ADHD do not draw satisfaction from reading books because books require a lot of attention. They may notice themselves going through the motions of reading without actually taking in the information, causing them to miss details that prevent continued interest. Adults with ADHD may enjoy websites and magazines more because they do not required as much ongoing attention. Although adults with ADHD understand the proper etiquette of conversations, where individuals take turns in listening and speaking, they may find the balance difficult. Many adults do not have the attention and working memory to hold a thought in their mind while simultaneously listening to someone speak. Interruption may appear to be the only solution to prevent forgetting one’s comment. Some individuals identified challenges with communication as a cause of their marital problems. This common identifier may present itself differently across individuals. 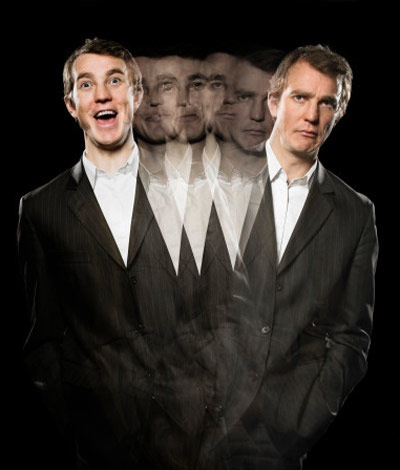 Adults often times may describe themselves as restless, on edge, or tense. Diagnosing ADHD may be complicated by the fact that not all individuals with ADHD are hyperactive. In addition, those who were hyperactive as children may no longer be as adults. Individuals with ADHD may find it more difficult to keep their attention on a given task. This may make them reckless drivers, where occurrences of speeding and traffic accidents may be common-place. Adults may also find themselves struggling with career performance because noise and phone calls may be a source of distraction. Adults with ADHD may have difficulty organizing and balancing responsibilities, such as bills, their job, and children. Individuals with ADHD may have trouble starting a task and often procrastinate both in their home and work environments. Distractibility and inattentiveness may lead to tardiness in the completion of tasks. Although adults with ADHD may have struggled for years, identifying this problem may improve their chance of finding treatment as adults. A combination of therapy and medication can help improve daily functioning and life satisfaction. If ADHD is causing distress, contacting a mental health professional at Arista Counseling and Psychological Services in Bergen County, NJ or Manhattan, NY may be the first step. Feel free to contact us for a free phone consultation at 201-368-3700 in order to set up an appointment with one of our licensed therapists, counselors, psychologists, or psychiatrists. Help is just a phone call away.